We all know about the transformative power that Special Olympics has on athletes and their families, but rarely do we focus on the impact that families have on Special Olympics Illinois. This month, we shine the spotlight on two families who are making a difference – the Lorenz and Stoklosa families. Nick Lorenz, 20, of Peotone, has been a Special Olympics athlete for 12 years, competing in basketball, bowling, golf, volleyball and bocce, and is a Global Messenger. His mother, Pam, is Nick’s speech mentor while his father, Scott, coaches Nick’s basketball team and is Nick’s Unified Partner in golf and bocce. Nick was the 2015 Duck Ambassador for the Windy City Rubber Ducky Derby; Pam also served as co-captain of the Darling Ducklings who raised nearly $65,000 for Special Olympics Illinois. Both Scott and Pam helped Nick sells duck adoptions for the Darling Ducklings team at numerous site sales opportunities, in addition to transporting Nick to various media appearances. 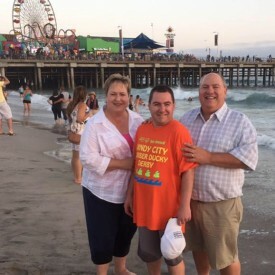 “Special Olympics has opened up countless opportunities to travel to places like World Games (where Nick was a bus greeter, Pam was a volunteer coordinator and Scott acted as chauffer coordinating their schedules),” said Pam. Ela Stoklosa, 25, of Wheeling, participates in nine sports. She has been a Global Messenger for four years, is a member of the Darling Ducklings sales team and was the 2014 Windy City Rubber Ducky Derby Ambassador. “Special Olympics is near and dear to our hearts and we are grateful for all the wonderful opportunities it has opened up for our family,” said Theresa. The impact that these families have made is tremendous. 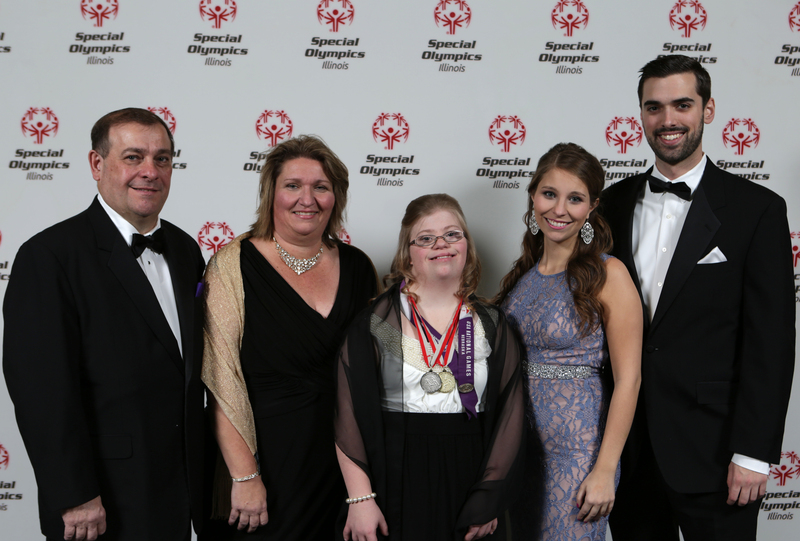 Without the support of families like the Lorenzes and Stoklosas who are giving back to Special Olympics Illinois, the organization wouldn’t be able to provide the quality programs it does. For more information on how your family can get involved or to share how your family is involved with Special Olympics, please contact Karen Milligan at 309-888-2551.